Never had anything other than awesome service from Nate or any other tech from TCA. The entire team is great. First scheduled trip out was very unorganized. 2nd trip/attempt went very well. WASHER MAYTAG MVWC415EW1 "Tested unit operations, no mechanical or electrical failures that I could find. I leveled unit out, ran diagnostic test cycle and calibration cycle. Advised customer to monitor." DISHWASHER WHIRLPOOL WDF518SAFM "Install all parts found a little leak from condensation from vent area unit leaning towards right side so water was leaking towards board, level unit tested out good, customer to use it and see what happens.."
COMPACTOR WHIRLPOOL KUCC151DBL1 "Compactor drawer stuck to bottom of unit, glue or some kinda of sticky substance, popped drawer free, cleaned off gunk that was causing it to stick. Tested operations, all check ok at this time." REFRIGERATOR JENN-AIR JS42SEDBDA "Dye found on evaporator, would need to replace evap and heat exchanger to repair, evaporator no longer available. Unit still under 12 year sealed system parts warranty, office to call Jennair." WASHER MAYTAG MHW3505FW0 Install gasket bought from sunburg per Angie part got lost somewhere so picked one up to complete call..
REFRIGERATOR KITCHEN AID KTRS19KDAL03 "Defrost drain line plugged, removed ice build up, steamed line and installed heat probe. Should no longer leak into fresh food section. ; used 1 819043 (HEAT PROBE) from stock"
RANGE MAYTAG MGRH752BDW "Ignitor failing to get hot enough, worn out, replaced Ignitor, tested operations, unit now works properly." 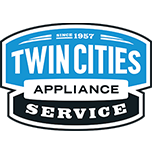 DISHWASHER WHIRLPOOL WDF518SAFM "Installed wiring harness and unit still having same issue. Verified pressure switch, water valve and all checks ok. Called techline and they advised replacing the thermistor since out of range. Ordering board as well since thermistor isn’t in fill circuit. Office to schedule once we can get board. ; ordrng 1 W10567618 (thermister) and 1 W10875014 (cntrl-elec) and 1 W10875017 (cntrl-elec)"
WASHER MAYTAG MHW3505FW0 Install hinge base check over unit tested out good..ran diagnostics went thr fine..
DISHWASHER WHIRLPOOL WDF518SAFM "Installed new control and harness. After installing all checks ok. Unit is now filling, washing, and draining with no issues." REFRIGERATOR WHIRLPOOL WRS342FIAM02 Cleared ice in line and was able to get line back into the ceiling liner. Cycled ice maker and is filling. Tenant to monitor. STACKED WHIRLPOOL WETLV27FW0 Left rear leg was stuck up. Pulled apart unit and unharmed leg and balanced the rear as much as possible. Also put font legs up to keep the front off the drain pan. Unit is now much more stable. Tenant will need to test with weight of load to verify. STACKED WHIRLPOOL WET4027EW0 Installed new gearcase in the unit and verified the lid switch was working correctly for the fill test. Going to have the customer test the unit tomorrow after the gearcase and oil have had a chance to warm up. All checks ok. Office to handle billing. MICROWAVE WHIRLPOOL WML55011HB1 No display and no sound from any buttons but light turns on when door opens. Voltage good. Removed console and found that the power cable going to the display PCB was not clipped in. Secured connection and reassembled. All checks ok and is working correctly once again. STACKED WHIRLPOOL WET4027EW0 "Neutral drain on the unit isn’t working correctly. Had unit spin in the initial drain stage, then stop spinning in the second which is backwards. Tenant described the condition as the clothes being wet enough to wring out but no standing water indicating the neutral drain didn’t disengage. Checked time and is pausing to disengage neutral drain on rinse and spin cycle. Office to contact millennium for approval before repair. ; ordrng 1 3360629 (gear case), used 1 Ship (Shipping/Handling) from stock"
STACKED LAUNDRY WHIRLPOOL WETLV27FW0 "Unit had bad segments in timer and would only work in certain area. Part shipped to tech so brought along and installed new timer in unit. After replacing timer, all checks ok and is working correctly again." WASHER WHIRLPOOL WET4027EW0 "Installed new gearcase, ran unit for ten minutes, motor getting too hot which was fine before, bad gearcase likely damaged motor and cap, drains ok, but will not turn over spin or agitate when it gets hot, unit needs new motor and cap as well, inst cust not to use, flipped breaker off, SHIPTOTECH ; ordrng 1 SHIPTOTECH and 1 WP661600 (motor-drve) and 1 WP8572717 (capacitor)"
STACKED LAUNDRY WHIRLPOOL WETLV27FW0 "Customer had washer filled up upon arrival, unit water level was found to be normal, customer not happy with unit, unit operating as designed, inst cust on loading, also adjusted dryer strike to not close as hard"
WASHER WHIRLPOOL WET4027EW0 "Installed parts, ran agitation ok, spin ok, no smoke, no over heating, unable to test with water, complex has water turned off for plumbing work, office to billout, 135.95 labor"
WASHER WHIRLPOOL WFW9351YW00 "Found pump plugged with gunk, cleaned this out, ran spin through ok, no leaks, unit now working good"
WASHER WHIRLPOOL WET4027EW0 "Found oil under gearcase, unit leaking oil still other functions ok, needs gc replaced, need to get move in date upon return, office manager not in office to return keys left keys on desk with note for return, SHIPTOTECH ; ordrng 1 3360629 (gear case) and 1 SHIPTOTECH"
REFRIGERATOR WHIRLPOOL WRS342FIAM02 Installed new light module on the unit. Still no lights. Tried jumping the remaining two led assemblies but no light. Tested wire continuity and found that the gray wire from the lower led mod in the fridge to the gray wire in the freezer had no continuity. Called the techline and they gave Sr #7723402260 and are submitting to review. RANGE WHIRLPOOL WEG750H0HZ0 "Installed fans, unit now functioning normal, sounds normal, preheated to 350 okay"
RANGE WHIRLPOOL WEG750H0HZ0 "Customer needs to go through initial burn off, set oven for 450 for 45 min for customer. Inst cust to have doors and windows open as will get smoky, cooling fan and convection fan both loud, needs to be replaced both, all other functions ok , SHIPTOTECH ; ordrng 1 SHIPTOTECH and 1 W11048093 (CONVECTION FAN) and 1 W11107275 (COOLING FAN)"
RANGE WHIRLPOOL WFE515S0ES0 "Found glass top scratched, installed new top, all functions ok , unoccupied unit"